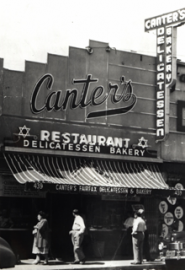 Canter's Delicatessen and Restaurant got its start in Jersey City, New Jersey in 1924. 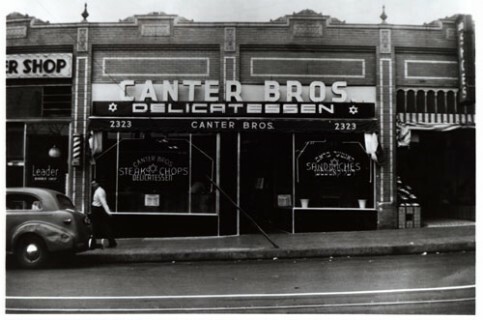 The Canter brothers moved their business to Boyle Heights, a suburb of Los Angeles, in 1931. 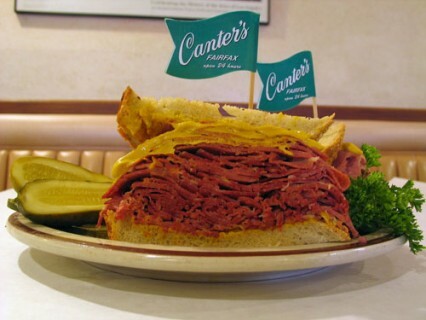 "In New Jersey in the early 1920's," says Marc Canter, "My grandfather knew how to make pickles and pickle corned beef but they did not have a restaurant or a storefront, they had a pushcart. 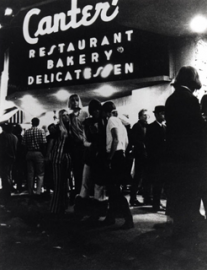 They had all of these recipes from Russia," he says, "and sandwiches were probably a dime if that."